1.Ayers’ Elaridge Evolution. B/S male, much larger type but well balanced. Was a pleasure to get my hands on this stallion of a dog. Masculine head, but not overdone. Excels in forechest, plenty of heart and lung room. Good bone, straight forelegs down to tight feet. Strong Hindquarters.A bit exuberant today, could have done with more room to stride out as well as I know he can, but nevertheless took a quality class. Looked the part in the group ring where he had much more room. BOB. G4. 1st Ayers’ Elaridge Evolution. 2 ½ yr old B/S dog. 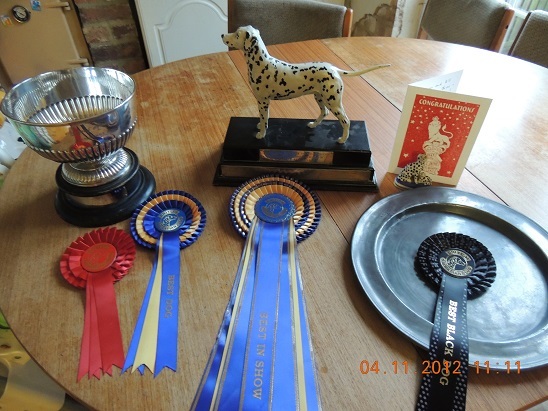 A dog I have long admired from the ringside and it was a pleasure to finally get my hands on him. He is a ‘stallion’ of a dog and oozes quality throughout. Excellent spotting of good pigmentation and well distributed. 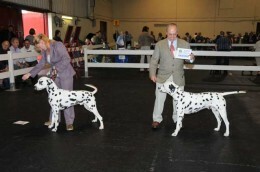 Has a lovely dark eye, good ears, a lovely length of neck flowing onto an excellent topline. His angulations are so well balanced and allow the good width of muscle and correct chest. So nice to see a correct length and placement of upper arm which allows him to move with an excellent length of stride. He also moves true fore and aft. He has good tight feet, the right amount of bone for his size and good tail set & carriage. To be hyper critical, I would prefer more length of muzzle to complete the picture, but he has so many other virtues and boy does he shout them out. Well handled as he is obviously full of beans and quite a handful. 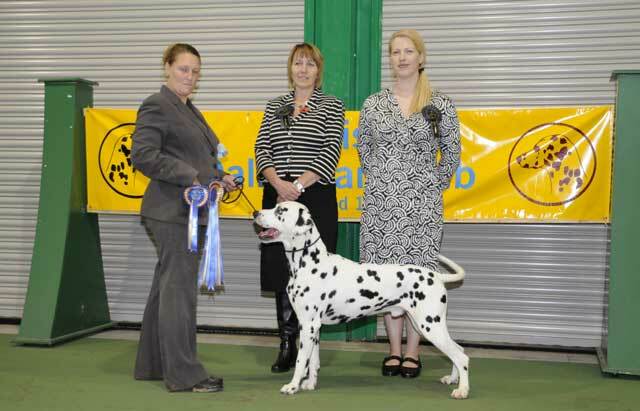 Won this class and Best of Breed with his numerous qualities throughout and showed really well in the group. Special Beginners (6, 0) 1. Ayers’ Elaridge Evolution, 2 y.o. 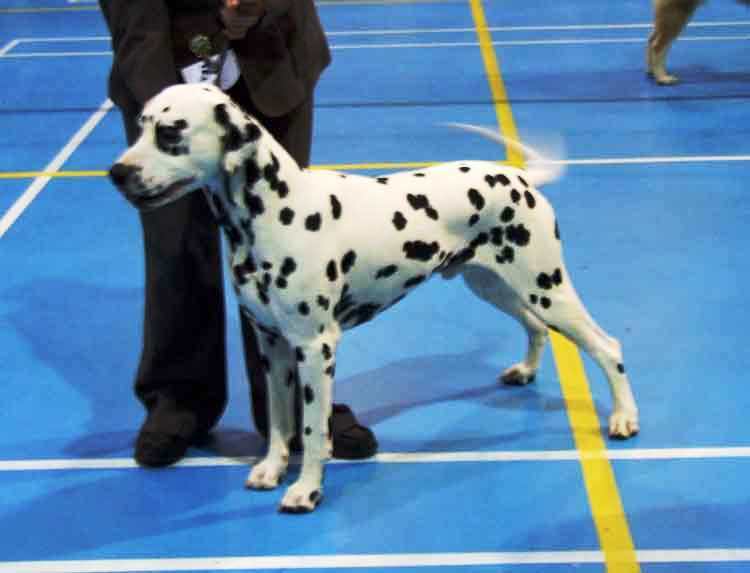 b/s, good bone, excellent flow of neck into shoulders, long, deep ribcage, solid dog who tended to stand “rocking horse” at times, good stifles, hocks could be stronger and head could be a little more refined, good bold spotting on excellent coat.